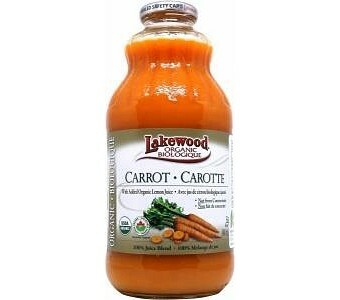 Lakewood's Pure Carrot Juice contains 18 to 20 fresh carrots in every bottle. The carrot juice is 100% freshly pressed, and contains 1% organic lemon juice, to allow the juice to be manufactured with no preservatives. This healthy drink is packed with essential micro-nutrients Polyphenols and Carotenoids. With every glass, you'll take in a great source of Potassium, Vitamin B6, Vitamin K and antioxidants Vitamins A & C. With just one glass everyday, Lakewood's Pure Carrot Juice is a natural source of minerals that restores important body electrolytes and maintains a healthy immune system for feeling great and improving your overall well-being.